Have you ever thought about road tripping through beautiful Canada and seeing the best places when driving along Eastern Canada? Well, then find out about the best places to visit in Canada when doing an eastern Canada road trip. Why do an Eastern Canada Road Trip? Driving in Canada is easy. In addition, driving on your own gives you much more freedom than public transport and you get to not only visit lovely destinations on your own schedule, but you can also see all the areas along the way. 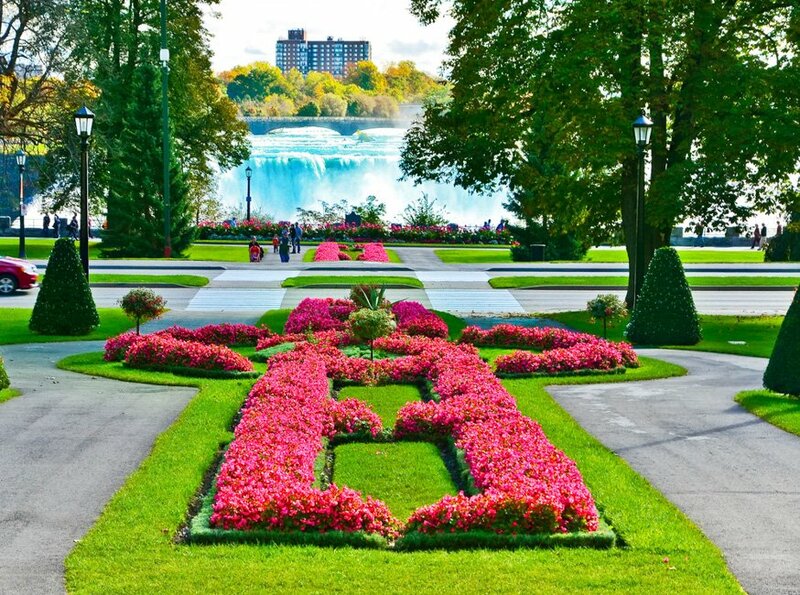 If you plan to visit Canada from the eastern side of the US you would drive north first into Niagara Falls and start there, followed by Toronto and Kingston, and finish your Canada destinations with Montreal. If you are flying in from another country and getting a rental car in Canada you would want to start with Toronto and then follow it with Kingston, Montreal, and then Niagara Falls so you can fly out from Toronto as well (which is only about 1 ½ hour from Niagara Falls). Of course, within each area, there are places you have to see in Canada, so I am including these here too so you know what to be sure not to miss along the way! Before talking about the best places to see in eastern Canada, you can find some important travel information for a road trip through Canada. Before heading to the Eastern Canada road trip itinerary let´s just discuss some travel tips first. Canada is quite safe and very friendly. Simply exercising common sense will keep you out of trouble. 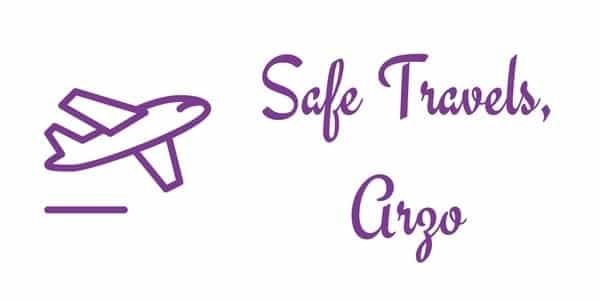 As always, when traveling out of your home country be aware of your surroundings, don’t wander alone at night and don’t leave your valuables out in plain sight. This is all about the road trip! So, your car will be your main transportation between points. Though within each area you will most likely park the car and explore via foot, taxi or bus. This combination will give you one of the best trips in Canada. In Niagara Falls the WEGO bus system is the easiest way to get around amongst the attractions. In most of the other cities getting around by foot is the easiest way if you stay central, otherwise, taxis are quite easy to come by. This depends on the time of year you are traveling, but in general, Canada doesn’t get very hot. In the summer temperatures tend to average in the 70s and can be brisk at night. Packing a mixture of clothing that you layer and a sweater or light jacket for the evenings may be best. I get cold easily and found myself chilly after dark. You’ll also want earplugs to block out city noise especially if you are not used to it. Tap water is safe to drink so I like to bring a reusable water bottle with me to fill at water fountains. Here are tips on how to plan the perfect road trip. Hotels in Canadian cities tend to be pricey for a good location and decent rooms. 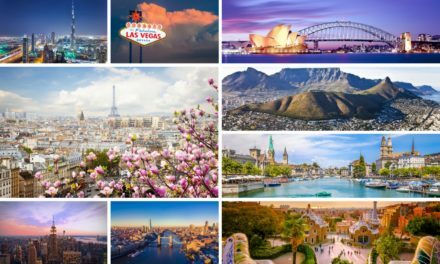 If you plan on staying more than a few nights in each location you may want to opt for an Airbnb at some of your Canada holiday destinations in order to save some costs on accommodation. Summer – definitely! The winters can be quite harsh, so to enjoy the best of Canada (unless you are planning on heading north-west to the Yukon for a sighting of the Northern lights) you may want to avoid this time of year. In addition, snowstorms can make driving on the road trip quite treacherous. 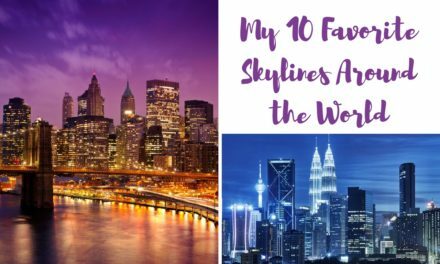 On another note, if you plan to visit just one of these spots during the winter and not do much driving (or perhaps you are accustomed to snowy winters from your hometown), it can be quite lovely to see some Christmas markets and the Niagara Falls frozen. 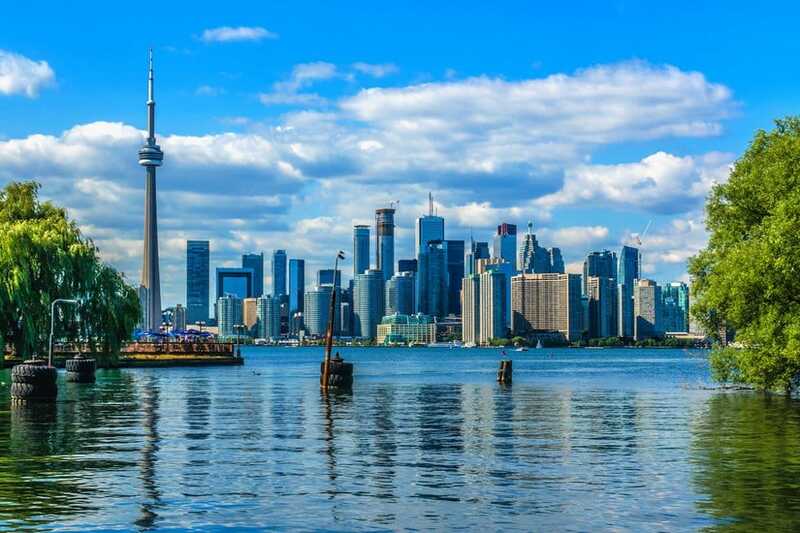 The Canadian dollar is pretty comparable to the US dollar, so it can be a costly destination for many, especially within the cities and tourist hotspots. Budgeting your meals is necessary and keeping snacks on you as well as a refillable water bottle helps save some money. I found the restaurants particularly overpriced in Niagara Falls so come prepared. Bargaining is usually not an option here either so be prepared to pay the ticket price and spend wisely! 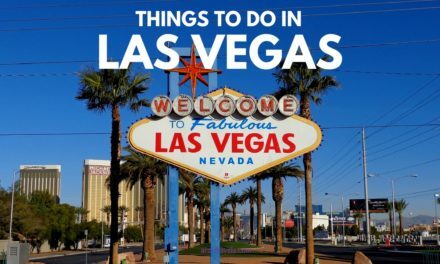 Okay, here are the best places to see when road tripping this beautiful area. A road trip to some of the best tourist places in Canada wouldn’t be complete with a visit to Niagara Falls! Although this is a huge tourist attraction it is also a must-see. The best bet is to go in the early morning or late afternoon. 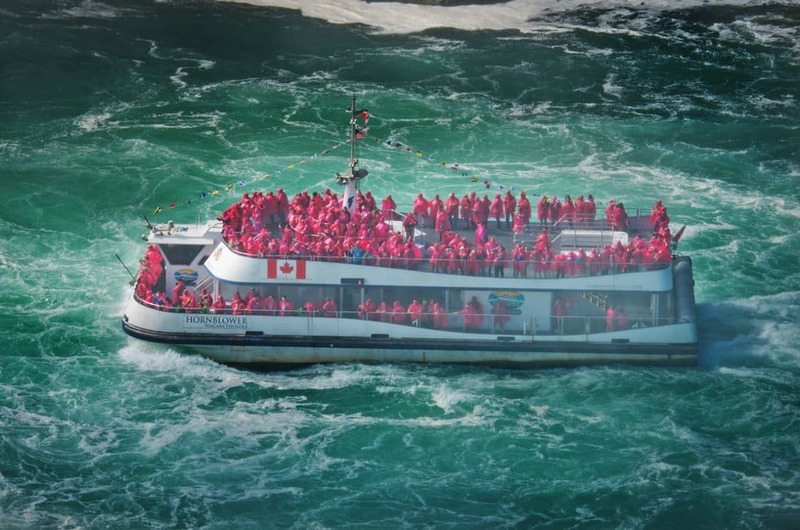 Mid-day it is unbelievably crowded with long lines as it is one of the most popular tourist destinations in Canada. Once on board, it is a lot of fun and worth catching! 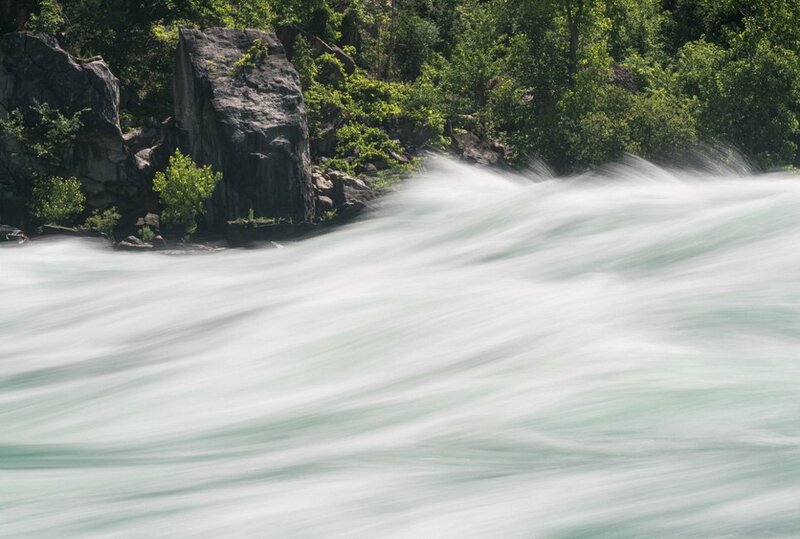 Seeing the falls up close is an amazing experience you get to hear, see and feel the power behind them. You will get wet though! Be sure to wear non-slip sandals and I recommend rolling up your pants or wearing shorts so the bottom half of your legs (that stick out beyond the poncho) don’t get soaked! This is a much more laid back (and less crowded) stop in Niagara Falls. But it is still one of the most beautiful places in Canada. It is an old-fashioned boardwalk weaving along the edge of the river where you can walk right alongside the white-water rapids. It is a nice relaxing stop to see some gorgeous sights when Canada sightseeing. 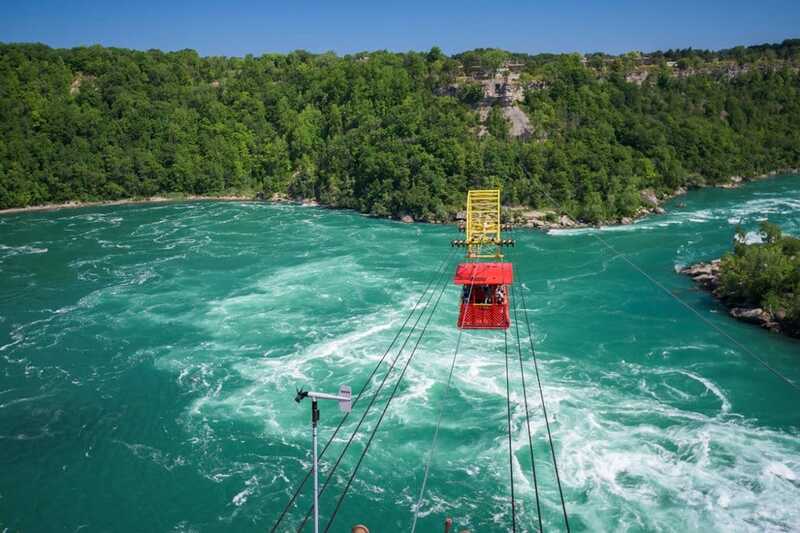 This is a fun ride high above the Niagara whirlpool. It is one of the really interesting places in Canada, and you get some amazing views of the area from above. Personally, I am afraid of heights, so had a little bit of panic getting started but it was completely worth it! Also, it was another attraction that tends to have shorter lines which is worth considering when planning what to see in Canada. The park is gorgeous and a nice Canada tourist spot to relax in after trekking about all day! Sometimes there are small festivals held here too. Besides making a stop here during the day for the gorgeous views, it’s also amazing to go here at night because you can see the falls all lit up. In addition, you can watch fireworks here on Friday nights so it’s definitely one to include on your eastern Canada road trip itinerary! When you want some time outside of the tourist hustle and bustle of Niagara Falls, head 20 minutes out to Niagara on the Lake. One of the cutest travel destinations in Canada, this cute 19th-century town is surrounded by vineyards and filled with boutique shops. Definitely take some time to explore, and even take a bike ride or go on a wine tasting tour for some fun! *Note that in Niagara Falls the easiest way to get around is via the WEGO bus that functions like a hop-on-hop-off. You can also get passes that include entry into all the main attractions. Heading out to Niagara on the Lake (about 20 minutes outside of the tourist center) is best done via your car. If you are at the Niagara Falls with your loved one, check out ideas on romantic things to do. Click here to find the best rates for accommodation in Niagara Falls. Tip: If you fancy something very special, then a helicopter ride would be the perfect activity! 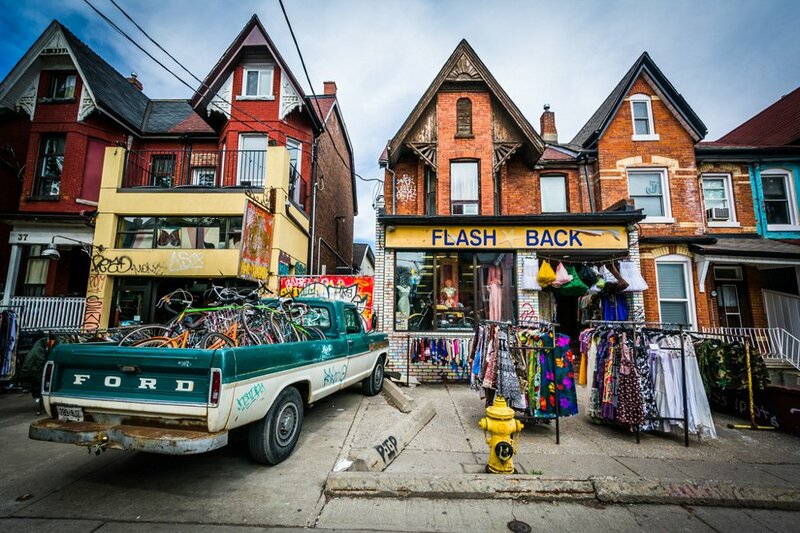 For the second of your cities in Canada to visit, try Toronto, home to some really cool places in Canada. 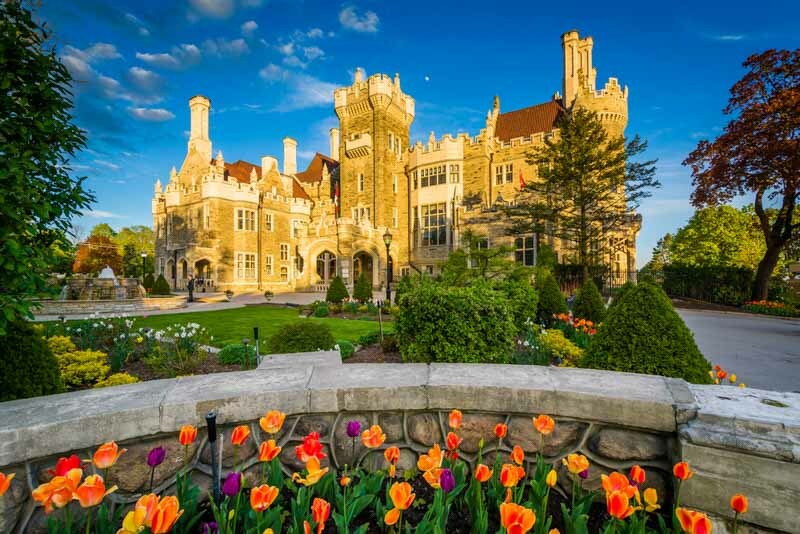 To see why Toronto is one of the best vacation destinations in Canada, why not whet your appetite for the city with a visit to Casa Loma? This is a gorgeous Gothic style “castle” with gardens, right in central Toronto! Besides the architecture and gardens themselves, it has also been converted into a museum with preserved rooms to make you feel like you are stepping back in time. Kensington is an incredibly cute bohemian neighborhood and the market is filled with everything from boutique shops and cafes to specialty grocery marts. Whether you are looking for a vintage dress, loose teas or a day spent checking out art shows you will find it here. During August you can also catch the Jazz Festival! Another of the really popular places in Canada is the famous CN Tower. This was the world’s tallest tower all the way up until 2009! In addition to visiting the lookout and getting some amazing views of the city, you can also eat at 360 Restaurant. 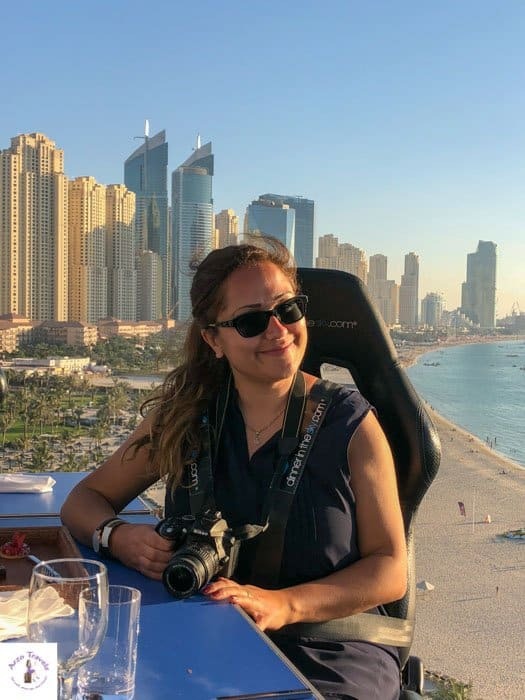 This is a really great dinner plan if you are visiting Toronto and it is beautiful to see the city from up there at night too. Lastly, if you are more daring and are looking for things to do in Canada to get your adrenaline pumping, you can try the “Edge Walk” where you get to walk the circumference of the tower from outside (of course strapped into a harness). Filled with tons of Victorian-era industrial architecture this is a really unique idea for what to visit in Canada. It’s a designated National Historic Site of Canada and features more than 40 heritage buildings! Nowadays you can hit these cobblestone streets for the Toronto Christmas Market in December or simply choose to explore indie hot spots, art shows, and specialty breweries during the rest of the year. Things start to shut down around 8 PM though so it’s best to visit mid-day and after a day of exploring markets and shops grab some dinner and beers before heading back to your hotel. Also known as “The Island”, it is only a 13-minute ferry ride from downtown Toronto. While the island is small at only about 3 miles long, it is still one of the best places to see in Canada. Renting a bicycle is an easy way to get around and explore the various beaches on the island. Spending the day on the island is a nice way to get outside the city and relax for a bit and if you’re there in the summer enjoy the beach time and a swim! This is a relaxing way to see the beautiful islands of the St. Lawrence River. Opt for the longer 3-hour cruise so you can really see as much as possible. There are over 1,800 islands in the river and it’s definitely one of the places to go in Canada that you must-see. If you like variety, these islands are one of the best places to see in eastern Canada. Some of the islands are private, some are small spots of nature dotted in the middle of the river and some are home to mansions or even castles (such as Boldt castle). If you’re craving some history and looking for some of the best travel sites in Canada, look no further than Fort Henry. Built in the 1800s, Fort Henry is an interesting historic sight in Kingston. During most of the year, you can visit the site as a museum and explore the fort as well as see historic re-enactments. This can include shooting cannons, soldier parades and more. During October it is transformed into “Fort Fright” so if you like a fun scare you may want to visit during this time. 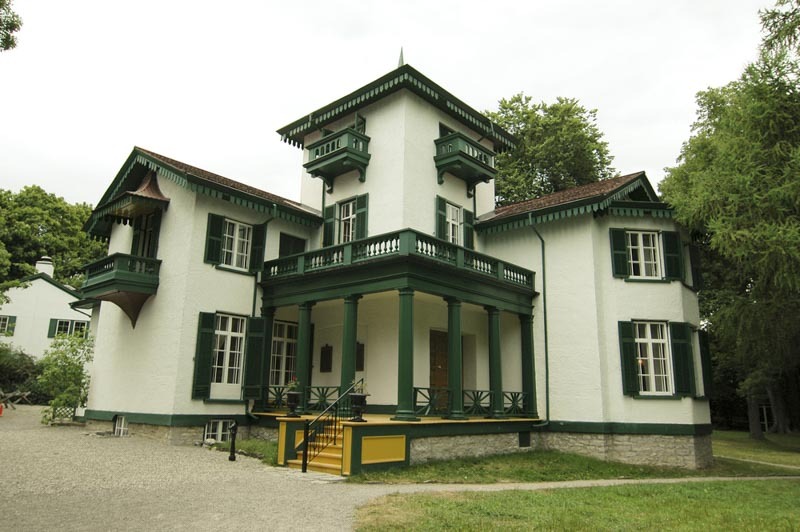 Another of the best places to go in Canada for history buffs is Bellevue House. Bellevue house is the historic home of Canada’s first prime minister and was built in the 1840’s. It’s unique to Canada due to its Italian style architecture and on top of that, it was also done in an asymmetrical design. It’s a beautiful and unique building in Kingston and has a perfectly preserved interior which is fun to explore. The staff and guides also dress in period correct outfits to complete the feel of stepping back in time. This is Canada’s oldest prison! It was actually closed to the public for 180 years but is now available to tour and it a very interesting attraction. In addition to being the oldest Canadian prison, it is also one of the most notorious. It may seem like an odd thing to do during your travel to Canada, but it is worth it, the history is pretty fascinating! For your last of the Canada tourist attractions in Kingston, why not check out the Waterfront Pathway? The Waterfront Pathway is a lovely walking path connecting downtown to Emma Martin Park. It is a really nice activity to explore the pathway and all the different places along the way. The pathway connects to several parks as well as various historic sites including the Bellevue House and Kingston penitentiary. If you have the time, seeing everything via the Waterway Path is a nice leisurely way to enjoy the path itself as well as all the stops along it. Bring a picnic to lunch at one of the parks during midday! The Botanical Gardens here are amazing! They have several outdoor gardens as well as greenhouse gardens and multiple themed gardens. Included are the Japanese Garden, a garden of indigenous Canadian plant life and a poisonous plants garden. 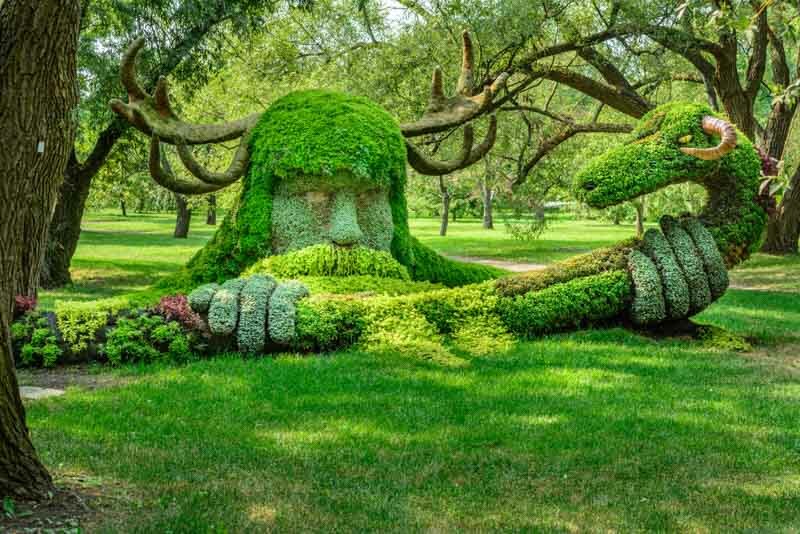 My personal favorite though is seeing their amazing plant sculptures. Old Montreal is the oldest part of the city with some parts dating back to when the area was known as “New France”. 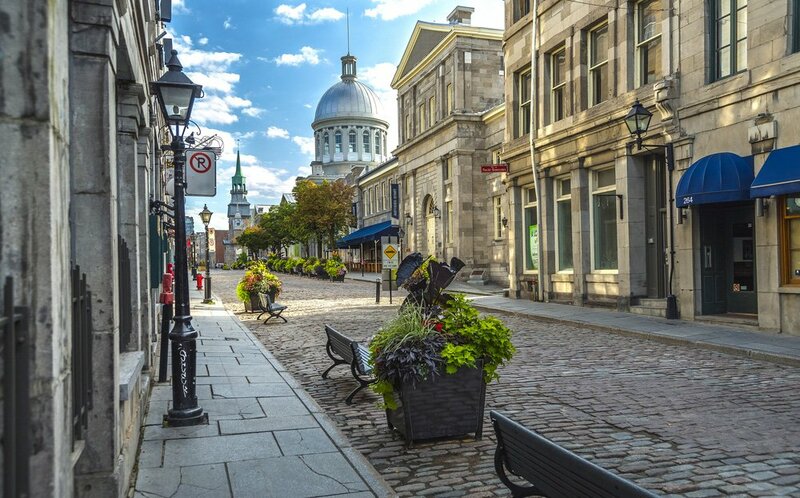 Old Montreal is full of Canada points of interest and in addition to the famed Basilica, Capel and City Hall there is also a great market (Bonsecours) and some gorgeous historical mansions as well. It’s very easy to get around by foot and in addition to the sights of Old Montreal itself, there are several museums and galleries here worth visiting too. St. Louis Square is a historical square surrounded by Victorian row homes. Visiting this area is like stepping back in time! The homes are lovely and it’s great for an afternoon stroll. It has a French feel and if you go in the evening you can sometimes catch some street performers making music in the center. Located in Old Montreal, this is a stunning piece of architecture. 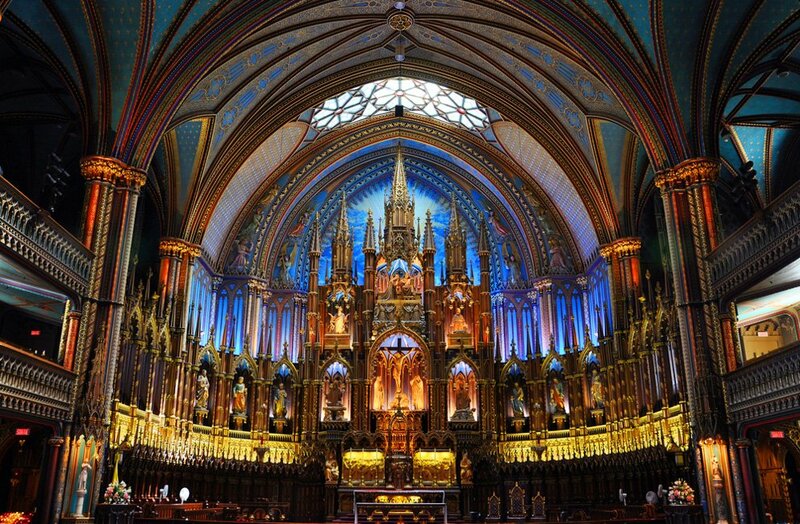 It is done in the gothic revival style and the interior is colorful and gorgeous. You can visit just to explore (there is a small entry fee) or you can attend a mass or choir session to hear the talented singers. In the evenings they also do a cool light show here called “And Then There was Light” which is a different way to see the church and to learn about its history. Of all the places to visit in Canada, Montreal is definitely known for its food! 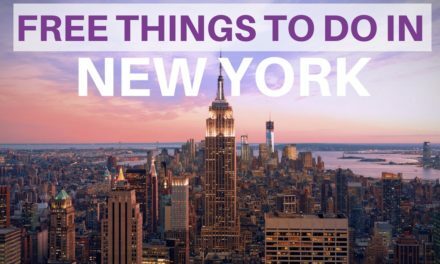 The city is a foodie’s paradise with tons of options including their famed French restaurants. Take a food tour with a local guide to find the best-hidden spots and taste various options in one day- definitely worth it! You can find various types of food tours on Viator. *Note that if you have a chance to take a day trip up to Quebec City voted “The Most European City in North America” and the only fortified city north of Mexico, definitely take the opportunity! 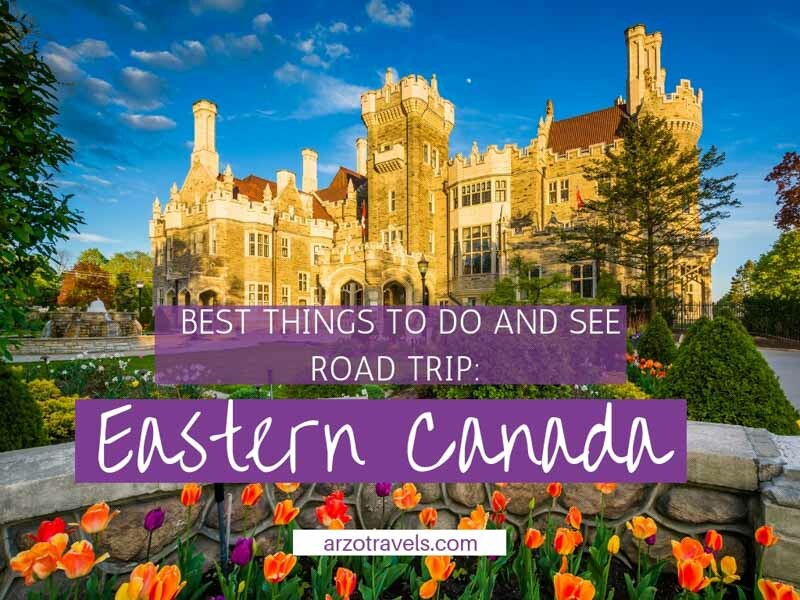 I hope you have gotten some great inspiration here for the best places to see on an eastern Canada road trip. Tell me in the comments if there are any cool places to visit in eastern Canada that you think I’ve missed! PreviousReview: Get a Stockholm Pass?